Babblings of a Mommy: My Newest Obsession: White Watches. 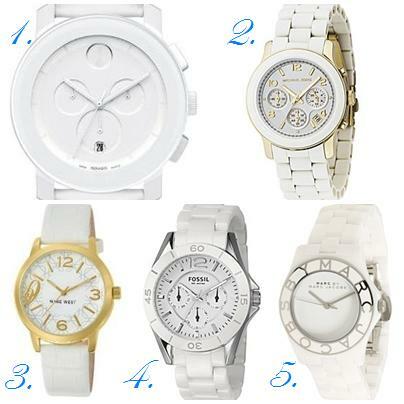 My Newest Obsession: White Watches. 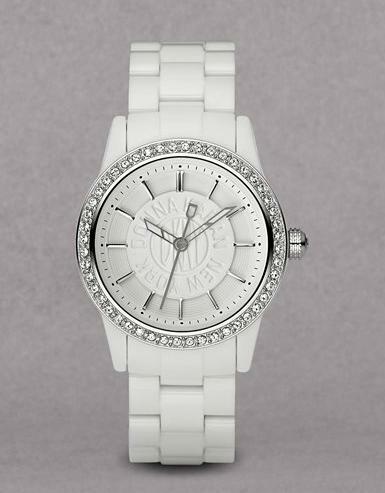 I've been obsessing over white watches recently. Why? I have no idea. 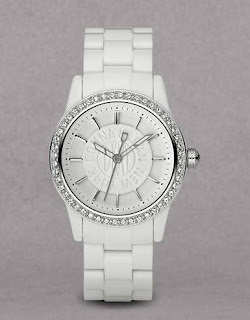 But I can't help it, and I'm not going to fight it--So instead I purchased this DKNY watch! :) It's crisp. It's modern and goes with just about everything. I couldn't be happier! 2. Michael Kors PU Runway. 3. Nine West Gold Tone/White Strap. 5. Marc by Marc Jacobs Ceramic Blade. Are you a white watch fan too? Oh me too! I got a white watch last spring and am STILL rockin it.